Last Friday the world stopped. A fabulous and wonderful present was being joyfully and majestically imparted to everybody who cared to receive it. Too many powerful epithets, aiming at besieging and conquering the reader’s emotions? I cannot help it. After so many gloomy and terrifying events shaking the global stage, the royal wedding was like a breath of fresh air. Let’s not think of political scheming, intricate hidden agendas and devious PR maneuvers… nobody says the world is perfect. 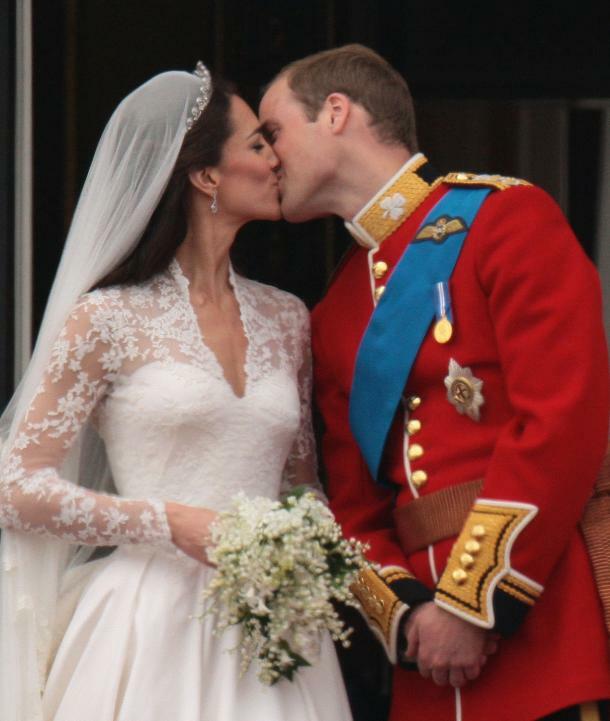 The royal wedding day was a moment of happiness, a glimpse of beauty, a fairy-tale unfolding at hand. People watched in awe, smiled, laughed, cried, overwhelmed by unexplainable feelings. Princess Catherine was a vision, a dark beauty in white lace and satin. Very much like the delicate, sweetly-fragranced flowers in her bridal bouquet. Prince William was infinitely handsome in his scarlet officer jacket, the very image of the fairy-tale prince, tall and strong, fair and blue-eyed. And, yes, his baldness makes him real, adding to his personal charisma. The irresistibly shy and kind smile as well as the proud posture of his athletic body make up a very charming man, a legacy of Lady Diana’s warm personality and Prince Charles’s aristocratic sobriety. Watching Prince William and Princess Catherine throughout the wedding ceremony was uniquely beautiful and impressive. It was as if everybody was given the chance of stepping into the fairy-tales’ realm and living there for several happy hours. Unforgettable. Who knows what time has in store for the lovely couple? The future seems worrying enough, not only for them, but for everybody. Let us just hope and pray that more and more fairy-tales, theirs and ours, will have a happy-end. I keep my fingers crossed.